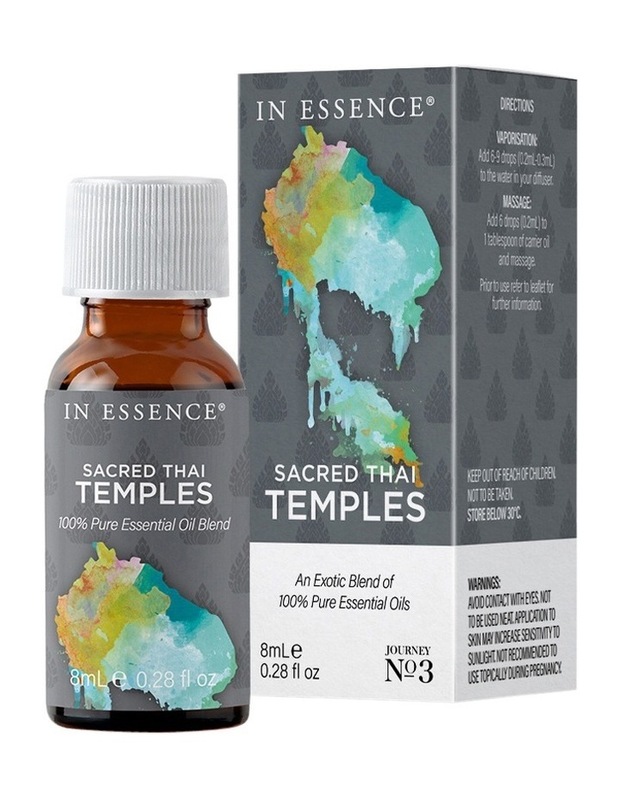 An exotic pure essential oil blend of Jasmine, Patchouli, Rose and Sandalwood to transport you to the ruins of the 12th century temple Ankor Wat. Reminiscent of faraway lands, hear the jungle creeps across moss-covered stone temples, monkeys howl and dense clouds hang in the humid valleys below. Let the aromas of Jasmine, Patchouli, Rose, and Sandalwood transport you to a distant hammock and swing with the rhythm of the forest that surrounds you. NOT TESTED ON ANIMALS. Vaporisation: Add 6-9 drops (0.2mL-0.3mL) to the water in your diffuser. Massage: Add 6 Drops to (0.2mL) 1 tablespoon of carrier oil.